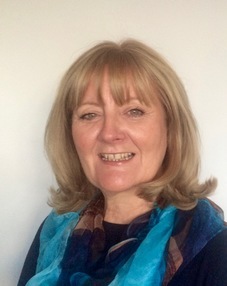 I am an experienced BACP Accredited Counsellor and hold an MA in Clinical Counselling. I provide a counselling relationship where you are heard, understood and accepted. This is extremely powerful because it allows you to open up and express all of your emotions, feelings and thoughts. This new awareness and clarity leads to the potential for positive change. The foundation of my therapeutic work is Person Centred. I firmly believe that we are our own best expert but that sometimes we need a helping hand to find ourselves again. Where appropriate I also draw on other therapeutic techniques such as CBT, Mindfulness and Solution-Focused Therapy. I have counselling experience in a variety of settings - as a NHS Staff Counsellor, on a Mental Health Social Inclusion Programme and a local Counselling Charity. I am an associate for Employee Assistance Service Providers and hold Healthcare Professional Recognition with Aviva and AXA PPP Healthcare. My specialist areas of interest include anxiety and its management; and perinatal difficulties, for example traumatic birth experiences, miscarriage, stillbirth and postnatal depression and have published research in this area. I know that deciding whether counselling is right for you can be daunting, never mind deciding which counsellor is a good match for you. I therefore offer a 20 minute consultation, free of charge, which can help you make your decision. This can take place over the telephone or face to face if you prefer. The foundation of my therapeutic work is Person Centred. I firmly believe that we are our own best expert but that sometimes we need a helping hand to find ourselves again. Where appropriate I also draw on other therapeutic techniques such as Cognitive Behavioural Therapy, Mindfulness and Solution-Focused Therapy. My specialist areas of interest include anxiety and its management; work related issues and redundancy. I have a specialist interest in perinatal difficulties, for example traumatic birth experiences, miscarriage, stillbirth and have published research in this area.